Trekking out into the woods? Do you need tough footwear to complete your journey? Reebok Men's Trainex RB7755 6 Inch Dark Brown Sport Composite Toe Boots are what you need. Full-grain leather will endure many trips beyond your front yard. It doesn’t matter ... (see full details) (see specifications) #RBKRB7755. Trekking out into the woods? Do you need tough footwear to complete your journey? Reebok Men's Trainex RB7755 6 Inch Dark Brown Sport Composite Toe Boots are what you need. Full-grain leather will endure many trips beyond your front yard. It doesn’t matter if you’re going out for a day hike, a weekend camping trip, or an extended stay on the work site. Full-grain leather is an excellent choice if you want something that has excellent durability and abrasion-resistant qualities. These brown boots offer abrasion-resistance with their durable leather uppers. The insides of these Reebok boots have the same high-quality standard as the outsides. Nylon mesh inside these men's boots pairs well with leather. With nylon mesh inside your safety toe boots, your feet will feel cooler because the mesh allows fresh air to travel to your feet. The insides also feature removable EVA-cushion inserts with sponge-rubber heel wedges. Even though they’re removable, you probably won’t want to replace them unless you have to because they cushion your feet well. Air them out whenever you need to for the freshest oil-resistant boots. The added heel wedge offers extra cushion to the part of your feet that takes a lot of abuse when you wear these ESD boots. 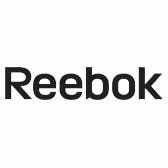 Reebok even goes the extra step to protect your heels by including heel airbags to absorb compression as you walk. If you've got a heavy backpack filled with camping gear on your shoulders, you’re going to appreciate these comfort features at the end of the day. Foot injuries happen in an instant. Sometimes they're hard to prevent because feet are so vulnerable. These Trainex boots feature composite toes that offer the same protection as steel toes, but aren't as heavy. Another reason for offering composite toes rather than steel toes is these sport boots are 100% non-metallic. This makes walking through security checks a piece of cake. These composite toe boots can be used for just about any activity you choose. You shouldn't need 100 different pairs of men's shoes to change into throughout your day. Finding one pair of Reebok boots you can do everything in is priceless. These non-metallic boots feature 90-degree heels and dual-density, directly-attached outsoles. The 90-degree heels are ideal for staying safe as you climb on and off ladders. The dual-density, rubber outsole offers great traction for climbing up inclines. This men's footwear is also electro-static dissipative. Don’t waste your hard-earned money buying a million different kinds of work footwear. Order these Reebok Men's Trainex RB7755 6 Inch Dark Brown Composite Toe Leather Boots and know you have great shoes that do it all. These held up way longer than a pair of Redwings, at half the cost. I usually barely get a year out of boots at my job where water and heat (Arizona) are the daily abuse. Most impressive thing is how the stitching held up, I wore out the soles after 1 1/2 years, and not a stitch split! Back to buy my second pair. I ordered the Rebook Mens RB7755 composite toe trainex work boots looking for a more comfortable and lighter work boot , the order was shipped on time and recieved in good condition but the left boot had a 1 inch dia lump under the insole that was about a 1/4 inch high . I did not to try the fit so i cant comment. I returned the boots for exchange with no issues. Reebok Boots: Men's Brown RB7755 Composite Toe Trainex Work Boots is being added to your cart.